We know that sliding glass doors need repair immediately to ensure that your home’s security is not compromised. A door that does not properly close or lock is an invitation to thieves. Residential doors require immediate service. We understand that you do not want to leave your home vulnerable. DC Local Locksmith Experts are bonded and insured, so you can be assured that you are safe when you call our experts for 24/7 DC door service. We guarantee a 30 minute response time from our experts with 5+ years experience. Sliding glass doors are wonderful for giving your home an open, airy feel. These doors make it easy to enjoy a scenic view of your backyard or the night sky. They often make your backyard more accessible. Few things are better than spending a summer evening entertaining guests on your patio. Sliding doors are great for connecting the party from your living room to your patio. Guests are more likely to mingle and feel welcome when they are a part of an environment that invites openness. 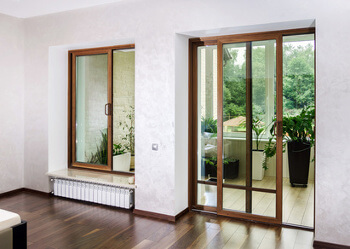 Many people underestimate a sliding door’s role in making your home feel more open and connected to the outdoors. DC Local Locksmith Experts provide excellent sliding glass doors installation and repair as well as all residential, commercial, automotive and emergency locksmith services for Washington, DC and surrounding area. We have highly skilled professionals and offer competitive pricing. Our experts are local, honest, experienced,fast and friendly. Your satisfaction is our top priority. Whether you need installation or door repair, we offer 24/7 DC door services. Our team strives to serve your schedule and accommodate your needs. You never have to worry about hidden fees thanks to our upfront pricing. We utilize only the best high tech tools to insure that your door is installed or repaired in a seamless fashion. Our experts deliver with unparalleled professionalism. Unfortunately, when you’re grilling on your patio, the sliding door can be susceptible to becoming jammed or unhinged. Perhaps the bar was up on the door and someone could not figure out what was preventing him from opening the sliding door. Or maybe your friend got a little too excited and flung the door with a little too much force sending the door off it’s hinge. Whatever the reason, our experts can repair or replace sliding glass doors so that they are as good as new. Sliding glass doors are a strong asset to your home and they need to be properly repaired in a timely manner. We know that doors need repair immediately to ensure that your home’s security is not compromised. A door that does not properly close or lock is an invitation to thieves. Residential doors require immediate service. We understand that you do not want to leave your home vulnerable. DC Local Locksmith Experts are bonded and insured, so you can be assured that you are safe when you call our experts for 24/7 DC door service. We guarantee a 30 minute response time from our experts with 5+ years experience. 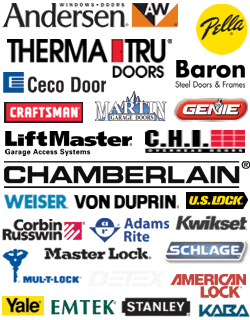 Our team is experienced and familiar with differing brands of door hardware. Some of the maintenance service our team provides includes door jamb repair, door hinge repair and door frame repair. The experts have worked on doors of ranging brands and sizes and have 5+ years experience in repairing all kinds of patio door problems. We are here to install and repair sliding glass doors. Our 24/7 DC door services are reliable and designed to serve your busy lifestyle. 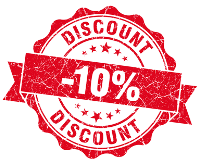 You can trust our team to deliver quality service with upfront pricing. We only hire the most experienced professionals to be a part of our team. Our team of professionals are fast and friendly, because they know that you have a jam packed schedule. So go ahead, have sliding glass doors installed and see how much more you use your patio and backyard. Patio doors and sliding glass doors could hold the key to creating more memorable gatherings and opportunities to bond with family and friends. The memories of those barbecues, parties or just family time are priceless. DC Local Locksmith Experts can help you repair or install a sliding glass door in your Washington, DC and surrounding area home. Call us today! Sliding Glass Doors https://dclocallocksmith.com/sliding-glass-doors-dc/ 4.1/5 based upon 18 reviews.